FEES: Classified ads are free to all LIVMA members and supporters, as space allows, and are $55.00 per issue/month for nonmembers. Ads should be 25-30 words or less OR THEY WILL BE EDITED AS SPACE REQUIRES. Ads will run for three consecutive months, or as space allows. LIVMA Veterinary Members & Supporters: To place a classified ad with LIVMA, on this website and in the newsletter, you must email your ad to livmahelp@gmail.com and fax it to (516) 538-7583. All classified ads must be both e-mailed and faxed or they will not be accepted. Classifieds can not be placed without both a fax and e-mail to verify the information. For addition in LIVMA Newsletter: Ads MUST BE RECEIVED by the 10th of the month prior to publication (i.e., May 10th for June publication) to ensure publication in the printed LIVMA Newsletter. Non-Member Classified Ads: Please fax your materials to LIVMA at (516) 538-7583 and e-mail the ad to livmahelp@gmail.com . LIVMA will contact you about available space and pricing. Full time, Part time or Relief Veterinarian: Eastport Animal Hospital is a N.Y.S. and AAHA accredited, 3600ft. facility located in the beach community of East Moriches in Eastern Suffolk County, New York. We are a 20 year established, growing office that is fully equipped with digital radiology, dental suite, full surgical suite, in-house laboratory, visiting specialists, in-house ultrasound and therapeutic laser. We are looking for an applicant with a great personality, excellent communication skills and who is comfortable with routine surgeries. Awesome support staff! Benefits include; Health Insurance, Simple Plan (IRA), Professional Dues, Paid Vacation and Continuing Education Allowance. Salary dependent on experience. Nassau County, NY - We are seeking a confident, compassionate, highly skilled full-time or part-time veterinarian to join our healthcare team. We are looking for a self-starter who is dependable, energetic, and willing to teach, learn, and excel. Strong interpersonal skills, excellent client service skills, and high-level communication skills are required. Our practice has a special interest in acupuncture and integrative medicine. We offer a solid future in a practice with competent, friendly staff and an ideal working environment. We have a modern and well-equipped facility in which to practice. Excellent salary and flexible hours are available. Our benefit package includes health insurance, CE allowance, and paid membership to veterinary affiliated organizations. Email resume and cover letter to wpahjobs@gmail.com. Best Friends Veterinary Care is a 4.5 doctor, privately owned practice on the North Shore of Long Island in Nesconset, near Smithtown. (5 mins from exit 58 on the L.I.E.) We are a state-of-the-art, beautiful facility with a high staff to doctor ratio, all licensed technical staff (including a board-certified Emergency/Critical Care L.V.T. ), amazing support staff, and no staff drama. Lift tables in all exam rooms. Digital rads including Midmark digital dental rads. Midmark high speed dental unit. GE Ultrasound. Paperless (Avimark) Electronic Medical Records. Therapy Laser. Bear Hugger. Multiple IV pumps and syringe pumps. O2 cage. Great clients. We only provide medical, surgical, and dental services - no boarding or grooming. Plus great music, camaraderie, endless Keurig coffee, and fun. We take our work, our fun, and our lack of drama all very seriously. We are seeking an experienced full or part-time associate doctor who blends into our group. S/he should first and foremost be interested in our clients and helping their pets. Excellent communication with Clients and Staff is essential to this position, as is comfort with computers since we are paperless. We greatly value a thorough, detailed patient evaluation and client discussion. Our Doctors get 30 minutes per pet! Plenty of time to practice great medicine! 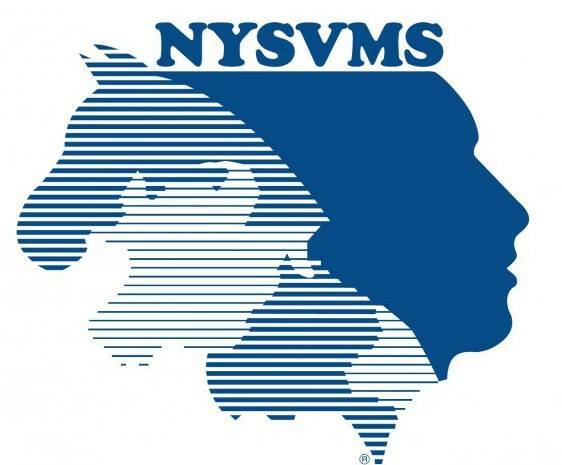 We offer an excellent salary based upon experience, full medical benefits in a PPO, paid CE with travel budget, NYS/LIVMA membership, NYS license/ DEA, vin.com, a comfortable schedule, no on-call/emergency hours, an amazing retirement plan, and periodic bonuses. We are flexible and understanding of real-life issues as they occur. For part timers there would also be ample opportunity for per diem work. We are seeking 3-5 years minimum experience. Please check out our Facebook page, Google, and Yelp to read our unsolicited reviews. Interested? Please send your cover letter and resume to BFVCmail@yahoo.com. We look forward to hearing from you. Full-/part-time veterinarian wanted. SA hospital in south western Nassau with close proximity to Long Beach and a short train ride to NYC. Our little hospital is growing and we need the right person to help. Our gloriously non-corporate setting allows veterinarians and clients to bond and build a relationship, not just vaccinate and sell health plans. We are paperless, use digital x-ray, digital dental x-ray, onsite ultrasound, therapy laser and in-house laboratory. Benefits include health, retirement, vacation, CE allowance, association dues, license fees, and malpractice. New graduates are welcome. No after-hour emergencies. Buy-in potential for the right candidate. Please email questions and resumes to Drrich19@yahoo.com. FT/PT Veterinarian: In central Suffolk and excited to expand our team at our established and growing privately-owned SA practice with a FT or PT associate. Ideal candidate would have 2+ years experience. We strive to practice quality medicine and emphasize developing strong bonds with our clients and patients. Well equipped with digital radiography (general and dental), in-house laboratory, anesthesia monitoring, laser therapy. Excellent salary commensurate with experience and benefits package including health insurance, IRA, association dues, NYS and DEA license, liability insurance, paid vacation and continuing education allowance. No after hours emergency calls. Flexible schedule with 3 to 4 day work week, including Saturday. We have a well trained, fun, caring staff with very low turnover. Contact us at woodedacres@optonline.net. F/T Veterinarian: Wanted FT veterinarian - South Shore Long Island, Seven doctor, state of the art facility, 50 support staff. Full service facility looking for new grad or preferably vet with experience. Orthopedics, ultrasound, digital x-ray and dental, endoscopy...lots of toys. Looking for a compassionate, hard working and dedicated Wiz Kid. Great mentorship provided. Salary, pension, medical and so much more to qualified person. Please contact; Massapequa Pet Vet, Ned Horowitz @ 516-797-8387 or Dr4ferrets@yahoo.com. F/T, P/T Veterinarian: Veterinarian needed for busy, independent, small animal hospital in the beautiful Three Village area of Long Island. We pride ourselves on providing high quality, personalized medical and surgical services to our clients and their pets. Our practice is young, progressive, compassionate, team-oriented, and growing rapidly. We have an amazing staff, including three licensed veterinary technicians. The hospital is equipped with in-house lab work, digital radiography, and ultrasonography. We offer general practice and advanced surgical services allowing for a diverse caseload. Team atmosphere with daily rounding, internship-trained, experienced doctor preferred but willing to train the right candidate. Pay commensurate with experience: benefits, including CE stipend, offered. Please visit our website, setauketanimalhospital.com or our facebook page to learn more. FT Veterinarian: Veterinarian needed for four doctor small animal hospital. Privately owned, owner works alongside you every day. We emphasize quality of life and minimizing stress; “no problems, only solutions” is our motto. No protocols, no practice manager. You can do as much or as little surgery as you want. We offer a competitive salary and Oxford Freedom health insurance (no referrals). There are no emergency calls, no after hours on-call, three weeks vacation and CE. Great clientele, constantly upgrading the physical facility. Dr. Perrier, terryanimalhospital.com, 516-764-2880. Rockville Centre, NY. FT Veterinarian: South Shore Of Suffolk Long Island - Our growing privately-owned small animal hospital is looking for an experienced associate veterinarian to join our two doctor team of caring professionals. We are looking for a positive, upbeat personality to practice high quality medicine and surgery. Proficiency in dentistry is preferred, but we are willing to train. Many benefits for all employees including access to health care, IRA, paid time off for CE, all association dues paid including DEA & NYS License. Unique opportunities for production bonuses and profit sharing paid vacation and your birthday off. Our facility is newly updated with DR and Dental DR, New Dental suite, U/S, Laser therapy and more. Half hour time slots allow for optimal time with patients, call-backs and charting, No On-Call hours or Emergencies. We strive to help all employees find work/life balance. Please respond to KLPSFHA@gmail.com. West Hills Animal Hospital & 24hr Emergency Center, located about 30 miles from NYC in Huntington, NY, is looking to hire an additional full-time daytime general practitioner to join our growing team. We are a multi-doctor (9 FTE GP's, 3 dedicated overnight doctors), award winning, 24 hour practice with a complete in-house laboratory, digital radiography (general and dental), ultrasound, endoscopy/laparoscopy, blood bank, ligasure, telemedicine capability and more. We are also adjacent to the Gold Goast Center for Veterinary Care where specialty services in Cardiology, Oncology, Surgery and Rehab are currently offered. Our support staff, consisting of 20+ LVT's, is extremely motivated and dedicated to patient care and client service. Candidate must be internship trained or have 2+ years of previous experience in a progressive animal hospital. This is a great opportunity to learn a lot, work with great colleagues, and be an excellent veterinarian. Communication skills, medical/surgical capability, and motivation are a must! Outstanding long-term opportunity. Comprehensive benefit package. Excellent salary commensurate with ability and experience. Please submit a resume/cover letter to Jared Coren, DVM at jcoren@whahzoo.com or call 631-351-6116. Peace Love Pets Veterinary Care is seeking a new member of our family. Currently 4 doctor staff with traditional medicine and surgery; Chinese/western medicine/acupuncture; breeding and reproduction, internal medicine specialist. Top notch support staff. Hyperbaric oxygen therapy, advanced abdominal and cardiac ultrasound, endoscopy, digital infrared imaging, laser therapy, laser surgery, and much more. We are a cohesive team that works together for the greatest patient outcomes. We are laid back and easy. Please come for a visit and see for yourself. Excellent salary and benefits. Hiring Licensed Veterinary Surgery Technician (traveling within Nassau and Suffolk Counties) for Alliance Veterinary Surgery, Dr. Jeffrey Seaman. For more information please email: cherylmullins@outlook.com. Looking to start a practice, expand with a satellite? 40 year old mid suffolk county practice in stand alone building on main road available for only the cost of the building lease. Don’t miss this once in a lifetime opportunity. For further information about this unique opportunity please contact us at: drbobdvm@yahoo.com or 631-807-8678.